Building a patent portfolio today which will have strategic value in the future is an innovation challenge facing all heads of R&D and IP. Generating value from intellectual property is difficult – appetites for licensing and litigation are changing, legal challenges are reshaping validity and appeals processes, and technology abandonment is happening faster than ever before. As an innovation leader, how can you build and shape a strategic patent portfolio that will sit in tomorrow’s growing market place, positioning your company to take advantage of new and emerging opportunities – in the blue ocean? 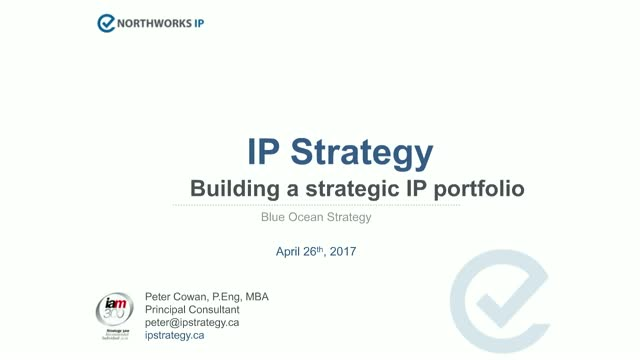 PatSnap will be joined by Peter Cowan, IP strategist and Founder of IP strategy advisory firm Northworks IP, for a live webinar on how to use blue ocean strategy to build a strategic patent portfolio.